Because Swaziland, Africa, has the highest incidence of AIDS in the world, most of the children there never experience the joys home is designed to provide. 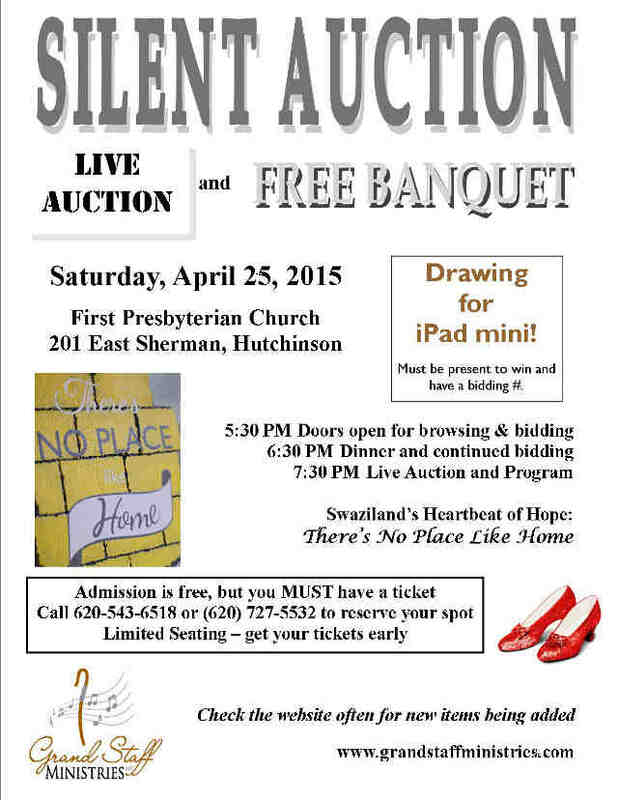 They are raising funds to build their first orphan home in this country, and you are invited to attend the auction. Admission is free, but you must have a ticket. Call (620) 543-6518 to reserve your spot. Seating is limited, so get your tickets early!